For rent studio type Condo 354 located at Avida Riala I.T. Park Lahug Cebu city. Fully furnished with free wifi internet. Rent 25,000.00 Pesos per month including HOA dues. 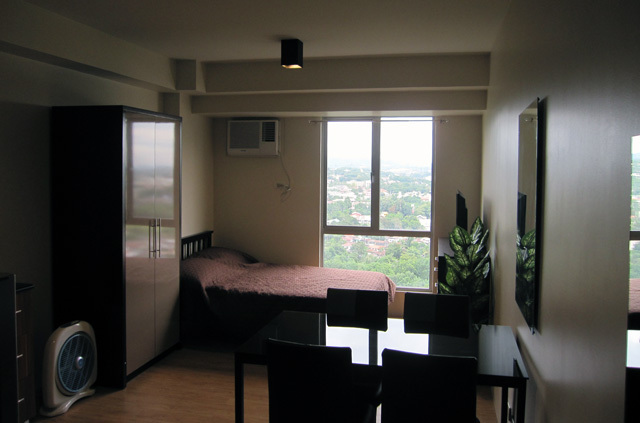 For Rent Studio type Avida Tower Cebu Condo located at IT Park Cebu. It is a furnished unit facing East, NO afternoon HOT Sun. Furnishings include: 4-seater dining table, inverter refrigerator, double bed with spring mattress, 1.5HP aircon, 2 burner electrive stove, hot shower, 32″ LED TV, microwave oven, kitchen utensils, etc. Located in the 17th floor of Avida Tower 1, I.T Park Lahug Cebu City. RENT: 19,000.00 Pesos /month plus condo dues, water, electricity, cable TV and internet.